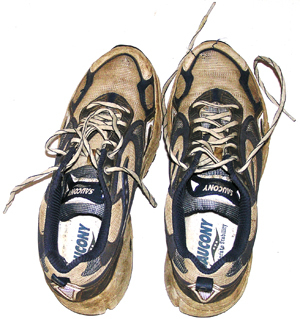 Running shoes, so white when new, so tired and worn out when old. RiP Saucony Shoes. I bought these from a shop in Edinburgh called 'Run and Become'. The women who sold them to me asked me to run up and down the pavement.